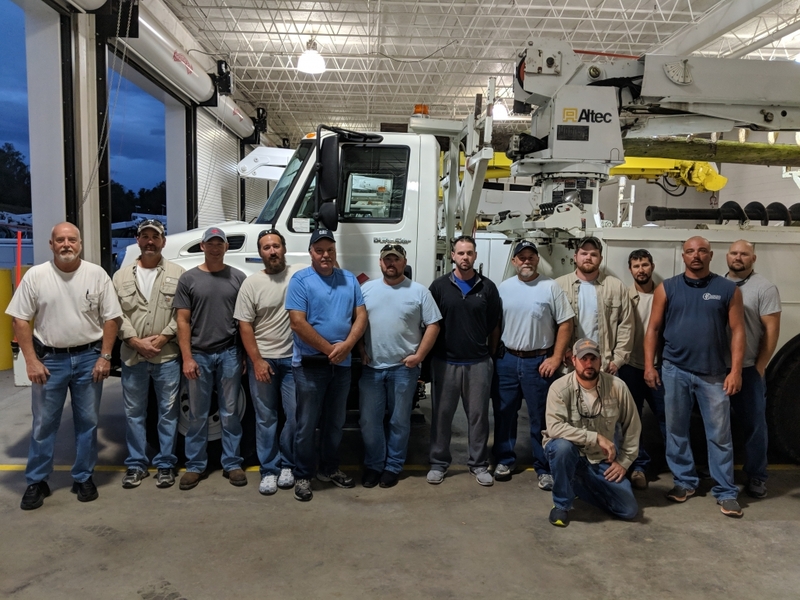 NEW TAZEWELL- Powell Valley Electric Cooperative is sending thirteen lineworkers to Suwannee Valley Electric Cooperative in Live Oak, Florida to assist with Hurricane Michael recovery efforts. The strongest storm to hit the Florida panhandle in recorded history, the Category 4 hurricane is expected to bring strong wind and significant rainfall to the northern Gulf Coast, and Powell Valley crews will be assisting with the recovery effort as soon as it is safe to work. Crews left from PVEC’s New Tazewell headquarters this morning and are expected to arrive in Live Oak, Florida, on Wednesday night. It is unclear how long they will be in Florida. Crews from Powell Valley Electric are joining more than 100 other lineworkers from electric co-ops across Tennessee, and hundreds more from 12 southeastern states, who will be assisting with hurricane recovery efforts. The Tennessee Electric Cooperative Association in Nashville is coordinating requests for mutual aid and makes travel and lodging arrangements for crews who respond. Powell Valley Electric Cooperative is a consumer-owned, not-for-profit electric utility that provides safe, reliable and affordable energy to more than 30,000 meters in Scott, Lee and Wise counties in Virginia and Claiborne, Hancock, Hawkins, Grainger and Union counties in Tennessee. 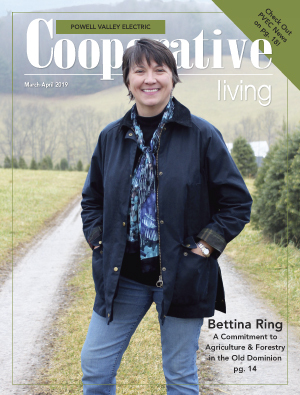 Learn more about Powell Valley Electric Cooperative at pve.coop.